Posted 5/1/2008 9:59am by Penn's Corner Farm Alliance. There's no doubt that the local food movement is catching on here in southwestern PA. The number of local farmers' markets and CSA (community supported agriculture) members is increasing all the time. And, now, so are the resources available for locavores--those interested in eating locally. For instance, Edible Allegheny magazine just premiered their first edition this spring. Inside you'll find all kinds of information about what's going on with food and farming here in the region--and that includes a small handful or articles that mention Penn's Corner CSA! Check out their website and consider subscribing. In other news, the Pittsburgh City Paper also ran a nice article on CSA's this week. They interviewed a few CSA farms, including Penn's Corner CSA. So pick up a copy of the Pgh City Paper this week too. To our existing CSA members and restaurant customers, we say thank you for helping to build a grassroots farming movement in our region. It really does make a difference to your local farmers. We hope you enjoy the bounty of the coming season. Posted 4/16/2008 2:07pm by Penn's Corner Farm Alliance. As the summer Harvest Share CSA approaches, we are happy to announce two new delivery locations. Both sites will be available to current and new Penn's Corner CSA members for the 2008 season. 1. 6500 block of Bartlett St in Squirrel Hill--Wednesday deliveries. 2. 1600 block of King James Dr in the North Hills (Franklin Park)--Wednesday deliveries. Posted 4/1/2008 12:45pm by Penn's Corner Farm Alliance. Truth is, that title is roundabout way of saying that our April CSA is now sold out. Thanks to the many new and returning members who have decided to support our local farmers this season. We are looking forward to starting our spring CSA next week on April 9. 1. Sign up now for the 20 week Harvest Share, which starts the third week of June. It will be a wonderful CSA Share filled with lots of your favorite fruits and vegetables. We still have plenty of room for you to be a part of it! 2. Sign up for the Spring waiting list. If/when new CSA shares become available, we will be sure to let you know. We are thinking that we may be able to add a few more shares in May. 3. Do both! Sign up for the 20 week Harvest Share and put your name on our waiting list, in case more room opens up earlier than mid June. To sign up for the Harvest Share, simply fill out our membership form and send it in with a check for your payment. For the waiting list, please email us, and we'll be sure to add your name. Thanks! Posted 3/18/2008 8:23pm by Penn's Corner Farm Alliance. In a matter of a few months, the trays of seedlings in this picture will fill the boxes of Penn's Corner CSA and be delivered to a neighborhood near you. And, Penn's Corner CSA still has room for you to be part of the fun of our farm fresh, seasonal CSA. It's not too late to sign up! Check out our updated CSA membership form to stake your claim in this season's CSA produce from Penn's Corner. The Farmer's Friend and Cabin Fever Shares, which begin on April 9, are running out quickly. So, grab them while they're still available. Or, sign up for the Harvest Share, which begins in mid June. And, spread the word to your friends....thanks. Posted 3/17/2008 2:13pm by Penn's Corner Farm Alliance. To most people, March 17 is best known for the green of St. Patrick's Day. But to many gardeners and farmers, the day is equally famous for another kind of green--sweet peas! Today is a traditional day to begin the planting season. So while many will be celebrating the day by eating and drinking, there are some of us that will find our joy in the garden. If the ground is workable--resembling soil more than mud--those itching to get into the garden don't mind this chilly (but sunny!) March day. And, if it's planting season, harvest season won't be too far behind! If you don't know where you're going to get your fresh produce this season, why not join Penn's Corner CSA? You'll get a weekly mix of the best local produce our region has to offer. The season begins in April, or you can sign up to start in mid June. Either way, you can rest assured that your local Penn's Corner farmers will be working hard to bring you the freshest food you can buy! Posted 3/5/2008 5:10pm by Penn's Corner Farm Alliance. We are happy to announce the first Penn's Corner Yard Sale product list of 2008. If you haven't ordered from one of our previous Yard Sales, let me tell you how this works. It's kind of like a buying club. Simply contact us via email (pennscorner@gmail.com), and we will send you our Yard Sale product list. Look it over and decide what wonderful local foods sound good to you. Then, place your order via phone (between 9am-5pm) or email anytime. Just fill out the form according to the directions. Feel free to make any clarifying notes. We will begin accepting orders immediately. The deadline to place your order is 5pm on Tuesday March 11. That's less than a week away. So, don't delay. Many of our items have a limited availability. First come, first served. After we receive the orders, we will collect and pack them into CSA boxes. Then, we will deliver them to the East End Food Coop on Meade Street in Point Breeze. There, we will park our truck out front (like we do for our CSA deliveries), and you will pick up your Yard Sale order between 4-6pm on Wednesday March 19--just a few days before Easter dinner! Please be prepared to pay for your order with a check or cash at the time of pickup. Need a smoked ham or keilbossi? We've got it. How about free-range eggs? Or the first green leafy vegetables of the year? Pasta, cheese, apple cider, and more!!! The list long -- so check it out. All of the products are locally grown or produced. So, your purchase directly helps your local farmers! Oh, and if you're a 2008 Penn's Corner CSA member, there is no extra charge to place an order. For non-members we charge a $5 packing/delivering fee. So, make sure to join the CSA in order to enjoy all the benefits! Don't put off placing your order--supplies are limited and the ordering window is short! Thanks again for supporting your local farmers! Posted 3/3/2008 2:39pm by Penn's Corner Farm Alliance. Good afternoon! With warm weather today, you can bet that many of our farmers are working outside or in greenhouses--planting seeds! While the cold may not be gone for good, farmers are taking advantage of every nice day they get. Another exciting season is just around the corner! * We're offering a CSA MEMBER REFERRAL DISCOUNT! Starting now, any current CSA member who encourages a friend or family member for a 20 or 30 week CSA share is eligible for a $10 discount on their CSA share! Simply have the new member give you credit on their membership form. We'll make note of it in your account! This offer will only last about a month, so encourage them to sign up now! 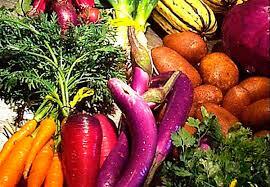 * The Cabin Fever CSA is just five weeks away! Can you believe it? If you're not signed, this is the time. Memberships are limited, and we will run out! Please note that the first ten weeks of the CSA will be on a Wednesday delivery schedule. That means the first pickup day is Wednesday April 9. * We have FOUR NEW PICKUP LOCATIONS to announce/confirm. If you already signed up, but would like to change to one of these sites, please just drop me an email. Thanks! FRIENDSHIP: 209 South Winebiddle St, right next door to the Waldorf School of Pittsburgh. (Wednesday pick up). HIGHLAND PARK: 1125 North Highland Ave, Enrico's Tazza D'oro coffee shop. (Wednesday pick up). MORNINGSIDE: 825 Chislett St. (Wednesday pick up). DOWNTOWN: Suite 2200 Gulf Tower, on 7th Ave/Grant St. (Wednesday pickup for the first ten weeks. Tuesday pick up, starting in mid-June). * Speaking of CSA pickups, we are still looking for new locations. A few of our most wanted spots include: anywhere in the North Hills, Avalon (a few locations pending), Shadyside, South Side, Sewickley, Robinson....and more. 10 week shares are $240 total. After the $100 deposit, the remaining balance is $140. 20 week shares are $465 total. After the $125 deposit, the second payment is $170. Early sign up discounts are for the last payment. 30 week shares are $690 total. After the $150 deposit, the second payment is $270. Early sign up discounts are for the last payment. * March 19 is YARD SALE SEASON! Just in time for Easter dinner, we'll have hams and keilbossi, burger and steaks, eggs and cheese, pasta and veggies--all from our local area! If you were part of the Penn's Corner CSA last year, you will remember the wonderful foods you were able to purchase through our YARD SALE BUYING CLUB. If you are not familiar, the Yard Sale is an ala carte shopping opportunity to purchase local meats, eggs, cheeses, fruits, pastas, and even a few veggies this time of year. This is a big perk of being a CSA member. Non-CSA members may also purchase from the Yard Sale for a $5 delivery fee. We will distribute a spreadsheet of products in the next day or two. Then, you will have about a week to place your order via email. We will put the orders together and deliver them, like a CSA box, to select neighborhoods. So, keep an eye out for that opportunity. And, if you have friends who may want to order, feel free to pass it along to them. Like I said, I will send out the Yard Sale Order Form in the next day or two. 2008 CSA Sign Up Now Available! Posted 1/7/2008 10:38am by Penn's Corner Farm Alliance. The 2008 Penn's Corner CSA (Community Supported Agriculture) sign up is here! Fresh fruit, vegetables, and farm products are right around the corner. Please click on the links below to sign up now. Sign up for a ten, 20, or 30 week CSA season. While many CSA's and farmer's markets don't begin until May or June, Penn's Corner CSA begins the first week of April and continues until the end of October. Penn's Corner delivers weekly boxes of farm fresh produce to neighborhoods all around Pittsburgh. With a CSA membership, you will also receive a weekly e-newsletter with recipes, cooking information, and a list of what will be in the box that coming week. Penn's Corner is expanding for 2008. There will be more pickup locations offered in 2008, so please let us know if you are willing to be a new site. Thanks again for supporting your local farmers at Penn's Corner! Posted 1/7/2008 10:35am by Penn's Corner Farm Alliance. The Penn's Corner CSA (Community Supported Agriculture) sign up is here! Fresh fruit, vegetables, and farm products are right around the corner. Please click on the link below to sign up now. Posted 1/7/2008 10:06am by Penn's Corner Farm Alliance.